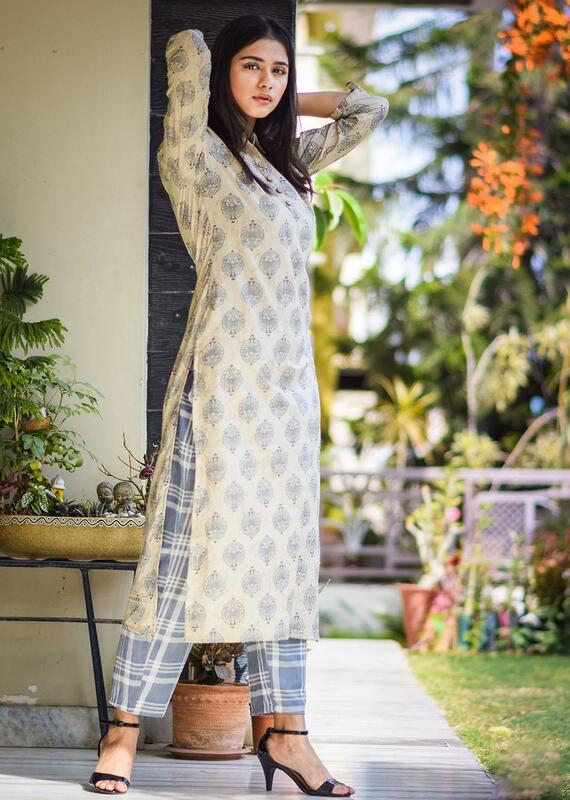 Joining the adventitious blocks, here we come with a soft block printed tortilla brown kurta and grey check pants. The colour combination is ingenious, and the overall set gives a very crisp appeal. 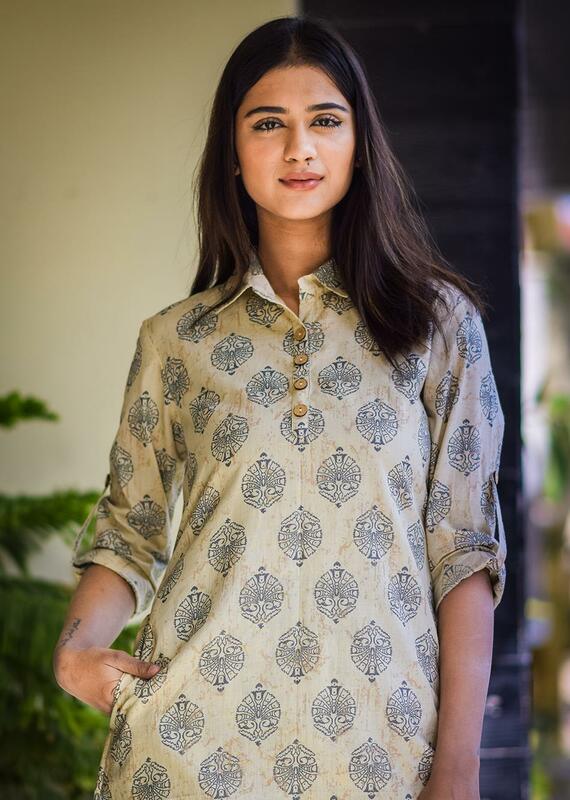 It is a straight kurta with collar, three-fourth sleeves, two side pockets and front buttons. The length is apt to carry it anywhere and the fabric, flax and cotton, is comfortable to wear every day.